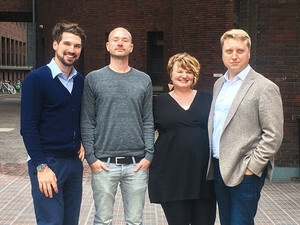 20 July 2016 – On 9 June the managing directors of iversity GmbH filed for insolvency at the district court of Frankfurt (Oder) after one of the largest shareholders of the company had unexpectedly decided not to provide further bridge financing. A core team around founder Hannes Klöpper currently works on continuing iversity.org with fresh funding and a new shareholder structure. Regardless of the current financial situation of iversity, there is a huge and ongoing interest for online learning from both private individuals as well as large corporates. Therefore, the management team of iversity is convinced that the current crisis offers a great opportunity to correct the course where needed, revamp the shareholder structure and continue the business in a significantly leaner setup. The team is currently negotiating with various new investors to support the planned management buyout. A decision is expected already by the end of this week. The iversity team intends to keep the courses on the platform operational for the foreseeable future. A contingency plan is currently being discussed with the insolvency administrator. This would take effect in case of unexpected problems with implementing a longer-term financing solutions and should allow for operations to continue in the short term. Users will be informed should this take effect. iversity.org is a platform for online courses that provides high-quality knowledge online in cooperation with universities, companies and NGOs. Founded in 2011, iversity was the first European provider of Massive Open Online Courses (“MOOCs”) and the first provider globally to offer ECTS credits for open online learning. Together, 750,000 registered users have taken more than one million courses at iversity.org. After entering the B2B market in 2015, numerous DAX companies started offering iversity courses to their employees as part of their professional development programmes. Find further information at iversity.org.